A Pakistani mob beat to near-death a Christian and his pregnant wife for her alleged ‘blasphemy’, then threw them both into the large kiln where they both worked as bonded laborers. The incident happened on Tuesday 4th Nov, some 60 kilometers from Lahore, the capital of Punjab in central Pakistan – in Chak 59 village, Kot Radha Kishan. The couple originally belonged to the historic Christian village Clarkabad, only 4 kilometers from Chak 59. Several incidents of communal violence have taken place between Christians of Clarkabad and Muslims of surrounding villages in the recent past. Two days before their murder, Shahzad Masih (26) and his five months-pregnant wife Shama Bibi (24) were accused of burning the pages of a Qur’an. The couple already had four children – Solomon (8), Zeeshan (5) given to an uncle for adoption as they could not keep him at the time, Sonia (4) and Poonam (18mths). Parveen Bibi, wife of Masih’s eldest brother, talked to World Watch Monitor at the scene the same day the joint murder happened. She told us that his late father Nazar Masih “used to do black magic” in which he used amulets and other documents that she said might have contained Qur’anic verses. At about 6 a.m. when Shahzad and Shama went back to their own home in order to prepare for work, an angry mob began pouring into their quarters. Sensing the danger all the Christians fled except Shama’s sister Yasmeen (married to Shahzad’s brother Fiaz Masih). “Shama was crying and screaming for help. The guard went for her husband and asked him to join Shama in the room to console her, as the guard assured them that soon they would be taken out – after the protestors dispersed. “By then, the number of mobsters was very small, but we could hear announcements being made from mosque loudspeakers in nearby villages – that a Christian woman had desecrated the Qur’an”. Yasmeen said people from five surrounding villages – Chak 60, Rosey, Pailan, Nawan Pindi and Hatnian – were gathered together by the residents of Chak 59 and their brick kiln coworkers. “Soon thousands of men armed with clubs, hatchets and axes loaded onto tractors and trolleys began pouring in. The angry protestors then climbed on to the roof, and broke it in, “as if it was made of wood, straw and mud” said Yasmeen. She says these men then opened the door from inside and brought the couple into the open, where the highly-charged protestors were ready to attack. Another relative, Parvaiz Shehzad, who also lives in Clarkabad, said that Muslims of neighboring villages “were very much jealous of Christians”. The village is named after Robert Clark (1825-1900), the first Anglican missionary to Pakistan. Parvaiz Shehzad said it was the first village in the district that had electricity, a bank, a post office and a high school. “Most educated people of surrounding villages had studied in in Clarkabad…Strife between the Christian villagers and Muslim villagers has been a common feature in recent years”. As Shehzad and Shama were of Clarkabad, he claims jealousy came into play. Heavy contingents of police did arrive at the scene after the crowd had killed the couple. A local media reports that the police have arrested at least 42 people in connection with the case. The remains of the couple were hastily buried at midnight, to avoid Christian leaders being able to officiate, as had been earlier intended. 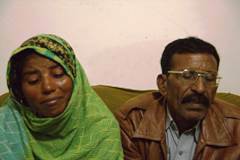 The dead woman’s father Mukhtar Masih on Wednesday filed a petition with the help of Christian organization The Voice Society against the government’s decision to become the complainant. Talking to World Watch Monitor, he said he had served as a bonded laborers’ leader for years, “and I know tactics the government uses to oppress us…Last night when I left the village, it had been decided that the funeral would be held the next day. But instead it was hastily done at midnight, as if our children were thieves. The Pakistani Christian community has already seen the government’s lack of seriousness in providing justice to them in the case of Joseph Colony (in Lahore), where the state is also a complainant. “My daughter Yasmeen is the eyewitness of the entire incident, but she is not included in the FIR, so how can I know the state is committed to providing us justice?” he despaired. The news went viral and was flashed onto all Pakistani TV channels, after which Punjab Chief Minister Shahbaz Sharif immediately constituted a three-member committee headed by Secretary for Minority Affairs and Human Rights Javed Iqbal. Talking to World Watch Monitor, Iqbal said the committee would soon visit the place and submit a report to the Chief Minister. Parliamentarian Mary Gill, of the ruling Pakistan Muslim League-(Nawaz), told World Watch Monitor that the Chief Minister had already announced a police Task Force to deal with the issue of so-called ‘vigilante justice’. The killing of people merely on accusations, particularly of those accused of ‘blasphemy’, is becoming commonplace in Pakistan. In 2009 more than 100 houses of Christians were looted and set on fire in the city of Gojra. In 2013, thousands of Muslim fundamentalists attacked Joseph Colony, a Christian locality in the heart of Lahore. The BBC reports that Muslims still constitute a majority of those prosecuted for blasphemy, followed by Muslim minority Ahmadis. However, as Christians constitute 1.5% of the population, the proportion of blasphemy cases is comparably much higher. According to Centre for Research and Security Studies (CRSS), there have been more than 52 extrajudicial killings in the context of blasphemy in two decades in Pakistan. Brick kiln laborers spend their lives in very harsh working conditions. BBC reports that apart from hard labor, many of them are injured by fire and sometimes even lose their lives. No medical treatments are available to them from kiln owners or the government as they are not considered government employees who get social security. Kiln workers are often supposed to live in quarters on the kiln site, where hygienic conditions are very poor. Children are either not allowed to go to school or parents cannot afford to send their children to school. Salaries are often so meager that laborers can barely survive. Kiln owners put all family members to work, including women and children. Sexual exploitation of female workers is common and in many cases male members of the family feel they cannot react against this. Most brick kiln workers are virtually made ‘slaves’ through the paishagee system in which an amount of money is given as an advance, and the employee cannot leave until he returns that money. Often kiln owners keep increasing the amount of the loan or bond, by charging exorbitant interest rates and by ‘fudging’ the numbers. With meager salaries, bonded laborers remain enslaved, even for generations. Any attempt to escape from the kiln results in severe violence, humiliation, increased debt and even a criminal case. The 1992 Bonded Labor System Abolition Act orders that “No person shall make an advance” and that “every obligation of a bonded labourer to repay any bonded debt … shall stand extinguished.” However, this practice of giving advance money continues unabated.